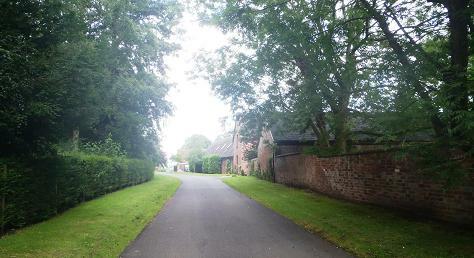 Stretton en le Field is to be found in the rolling countryside of North West Leicestershire on the edge of the National Forest. 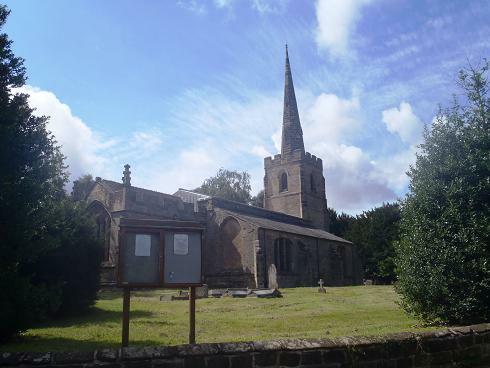 The village is just north of the junction of the A444 and A42, about 5 miles south-west of Ashby de la Zouch and the spire of the now redundant Parish Church of St Michael is visible for miles. The population of the parish in the 2001 Census was 36. The village's name is derived from the Old English words for Settlement (ton) by a Roman Road (stret) in open countryside (field). Although currently in the County of Leicestershire the village was actually in Derbyshire up until 1897. In his series The Kings England Arthur Mee described Stretton-en-le-Field as 'a pretty hamlet close to Derbyshire with a tiny cluster of houses and a grey 14th Century Church'. The description of the church seems odd as it is most definitely warm tone sandstone and far more honey coloured than grey. The population of Stretton en le Field has declined markedly over the years reducing from over 200 at the start of the 19th Century to less than 70 by the end. 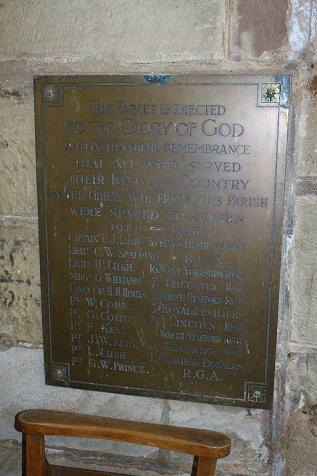 At the time of the of the Great War it is certain that for a village of this size to send eleven of its men to serve their King and Country in such a selection of famous fighting regiments must have put a huge strain on the community. That fact that they all returned to this hamlet in the fields of Leicestershire makes Stretton en le Field a very Thankful Village indeed.